Its play-off time in the Chinese Basketball Association, which, to the league’s credit, has become more and more exciting with every season. This year, it’s an interesting mix between old hands like Guangdong, Beijing and Xinjiang and new faces like Qingdao and Jilin. The structure is fairly simple; 1st vs. 8th, 2nd vs 7th and so on, until the two remaining teams from both sides of the eight seed bracket face off in a best of seven Finals. Games start on Febuary 6th but it makes sense to first break down who is in the postseason and how they might fare. For the fourth season in a row, the Tigers have finished the regular season atop of the standings. But this time around, they finished with their best ever record in the modern CBA era and won twenty-six games in a row. After initially deciding that they wanted to get younger with Emmanuel Mudiay, now it looks like Guangdong have decided to rely on veterans. Mudiay has been watching things from the sidelines since December and in his place Will Bynum (21.4ppg, 7.4apg) handles the ball whilst Yi Jianlian (27.4ppg), Zhu Fangyu (18.9ppg including 47% from downtown) and Wang Shipeng (45% from downtown) space the floor and wait for the defense to panic. Yet the big question is still the same; can the Tigers win the title again after a period of relative inconsistency (one title in three seasons having previous won seven out of eight CBA Finals between 2004-2011)? On paper, you would say ‘of course, idiot’ but this is an older team that found themselves bested in last year’s semi-finals by a Beijing side with both street smarts AND youth on their side. A year on from that painful loss, the Tigers would once again face Beijing for the third CBA postseason in four years should both teams make it to the semi-finals and the Ducks are leading the ongoing series 2-0. If and when that scenario happens, it may well be this Guangdong roster’s Waterloo moment. For a team that has a reputation for flattering to deceive, suddenly Liaoning are playing to their fullest potential and the rest of the league has been on notice ever since. The key to the team lies in the backcourt given that Lester Hudson and Guo Ailun are arguably the best guard duo in the league right now. When Hudson was first brought over to northern China, I’d very foolishly suggested that a finesse player like Guo and a shoot-first, ball dominant combo guard like Hudson couldn’t co-exist but that’ll teach me for applying even the most basic of logic to a situation within Chinese basketball. Instead, the two have sliced and diced most teams they’ve come across. The front court itself is also pretty formidable. Deon Thompson is an established Euroleague player that understands he is second banana to Hudson in terms of minutes and shots but is still averaging over 20 points a game. The big story though (pun absolutely intended by the way) is Han Dejun. He’s still fat and remains in dubious condition but ‘the Flying Pig of Benxi’ has had plenty of good nights this year. It’s also not beyond the realm of possibility that he could have a 30 + 15 game at least once in the postseason. Better known by their unofficial name, the ‘wait, Qingdao won again?’ Eagles have been the cinderella story of the league. Before this year, they hadn’t had a winning season in their CBA existence but now they find themselves as the third seed in the playoffs. Looks though can be deceiving and this is a team that lives and dies by its foreigners. Hamad Haddadi has been a discreetly brilliant signing (21 ppgs, 14.7 rbs, 2.3 bpg), Justin Deadmon has put up crazy numbers (30.4ppg including 45.1% from 3pt range) and Mike Harris (24.3 ppg, 9.2 rpg) is a CBA lifer who knows the league better than any other foreigner around. The local players are basically there for the ride and in the postseason, rival teams are going to eventually exploit this. This year has been a fine story for Qingdao and they still might make it to the semi’s but make no mistake, barring a minor miracle, this is not a Finals team. In terms of being a professional athlete, Stephon Marbury is old as dirt. There are probably a dozen countries that didn’t exist when he was first playing in the NBA in the mid-90’s. This season, he has struggled with injuries and rarely posted anything resembling his old eye-catching numbers. And yet, PLAYOFF MARBURY. Again, this might seem hard to quantify but for whatever reason, Stephon Marbury lives for the Chinese postseason. During the last three seasons, the point guard has averaged 26.5 points and single-handedly led the Ducks to two CBA titles. On top of this, Beijing also have a boatload of local shooters that will light teams up from the perimeter as well as the ceaselessly clinical Randolph Morris dominating the paint. The rule changes to the fourth quarter have undoubtably made things a little more difficult for the Ducks but this is still a solid team with a ton of experience in the postseason. Age may finally be creeping up with Marbury but Randolph (26.6ppg) can still carry the load for Beijing. 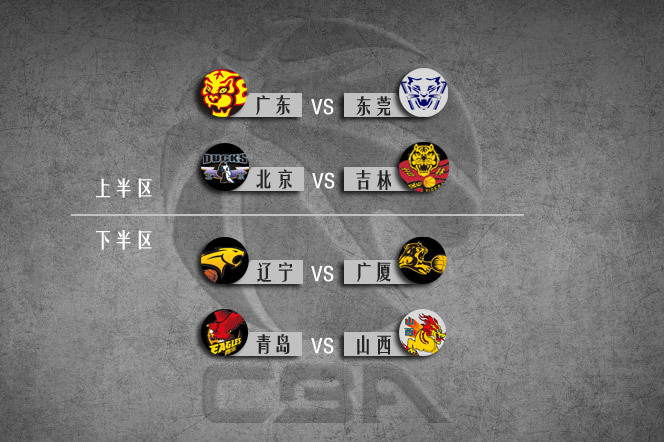 Also, the potential Guangdong/Beijing showdown in the semi-finals is going to be amazing because it always is. It’s hard to think of a player that has made more of an impact to one team in the CBA this season than Dominique Jones (37.2ppg, 7.8apg). Before the former Dallas Maverick arrived, Jilin had not made the play-offs, let alone had a winning record in almost a decade. Now though, the Tigers are back in the postseason and Jones is the main reason for this. The problem is that Jilin, like Qingdao, are heavily reliant on their foreign players and in a play-off series against a shuddering but still game Beijing team, this will be a problem. Syrian point guard Michel Madanly (22.2ppg, 40% from 3pt) helps Jilin make up for Jones’ inconsistency from long-range and former JMU big man Denzil Bowles (22.5ppg, 9.5rpg) gives them some variety down low but the Tigers are still going to be underdogs. Jones, in the form of his life, might help Jilin steal a game, but winning in Beijing (whose 18-1 home record is tied for best in the league) is close to impossible these days. Now with coach Yang Xuezeng back in the fold, Shanxi have returned to their 2011/12 glory days when they would brazenly try to run up the score on unsuspecting teams up and down China. Yang’s balls-to-the-wall, ‘first team to 130 points wins’ brand of basketball is undeniably fun but against the right team who can break up Shanxi’s momentum and frustrate them on offense, they will become unstuck. However, when and where Shanxi encounters the ‘right team’ in their half of the playoff bracket remains to be seen. Qingdao probably doesn’t scare the Shanxi much and if they can get past the Eagles unscathed and Liaoning somehow have to slog their way through a tough series of their own, things could get interesting. The Dragons have a range of pretty solid shooters (Von Wafer, Duan Jiangpeng, Luo Zhi), a pretty feisty starting front court, a bench rotation of goonish big men that will not hesitate to hurt you and a home arena that can get uber rowdy when it wants to. Teams know how to stop Shanxi (and eventually someone will) but guessing who that is remains an intriguing crapshoot. Full disclosure: I love Hangzhou, home city of the Lions. It has great local food, lots of history and the populace is generally friendly and easy-going. Likewise, their team is everything a small market CBA organization should be; well run, well coached and boasting a carefully selected roster of talent, experience and American firepower. BUT, and sadly this is unavoidable, they could well end up getting swept against Liaoning. Power forward Eli Holman has been insane on both ends of the court for the Lions (22.9ppg, 14.5rpg, 1.8bpg) and carried Guangsha once leading scorer Jamal Franklin (28.5ppg) went down with injury a few weeks ago. Franklin’s replacement, the former Utah Jazz draft pick Kevin Murphy, is at best disappointing and is currently shooting 11% (!!!!) from the 3pt line. Taiwanese floor general and owner of the worst haircut in the CBA, Lin Chih-Chieh, has tried to help out whilst Murphy adjusts but it’s not going to be enough to stop Liaoning. I love you Hangzhou but I can’t look beyond the obvious. After one of the most improbable finishes to the CBA season, Dongguan overturned an eleven point halftime deficit on the road to Beijing and snuck into the postseason ahead of Xinjiang thanks to head-to-head results. Their reward is a crosstown play-off series against their big brothers, the Guangdong Tigers. Obviously an erratic Dongguan team will be up against it but it doesn’t mean they can’t give their neighbors some sleepless nights. Bobby Brown (32.3ppg) is a legit scorer and will toast teams from anywhere on the court whilst Ike Diogu, an old hand in China, has a decent midrange game. Young guns Gu An (16.1ppg) and Sun Tonglin (10.7ppg, 6.5rpg) are coming along nicely and will probably be cornerstones for Dongguan to build around for the next decade. 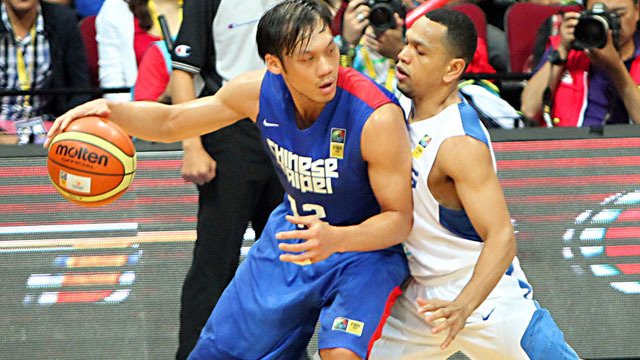 Zhang Kai is a hard nosed veteran center that won’t let his team down. All that said, this is still a young team that needs Brown to have a big night if they are to survive. As a result, Guangdong will make the American work for every single point and force the rest of the team to step up and make shots. I root for Dongguan, who like Guangsha, are a model organization in the CBA but even so, the Leopards are still in very real danger of getting swept.